Sterling’s traditional collection has comforting elegance of grander times and the classic furnishing designs of gracious living that converge into traditional style which is the most popular decorating theme marked by its ability to adapt to lifestyle changes. 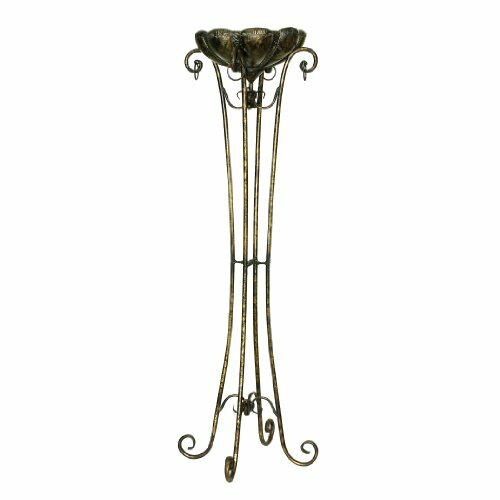 the fujian plant stand made of metal is 17-inch wide by 60-inch high and has a gold finish. sterling industries specializes in bringing creativity and imagination to decorative home accessories. sterling's strong design innovation and quality manufacturing ensure products that are stylish and in demand. give a gift your friend, loved one or you will enjoy every day. If you have any questions about this product by Sterling Industries, contact us by completing and submitting the form below. If you are looking for a specif part number, please include it with your message.